Emily Moody, MSW, MFT, MA is a psychotherapist working with individuals, couples, and families to find greater harmony, both within themselves and in their most important relationships. Emily has been in private practice since 2010 and has extensive experience in integrating mindfulness and psychotherapy, particularly around issues of anxiety, depression, loss and stress-management. She is also a Marital and Family therapist (MFT), working with issues of parenting, communication difficulties, rebuilding emotional and physical intimacy, cross-cultural issues, separation/divorce, blended families, the LGBTQ community and general relationship enhancement. 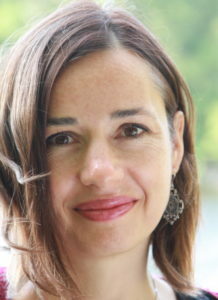 Emily is also an active member of the True North Insight (TNI) meditation community, and is a co-creater of the Compassionate Action Committee at TNI and a board member of Mindfulness Montreal. Emily graduated from the Marital and Family Therapy (MFT) post-graduate program of the Jewish General Hospital and has a Masters of Social Work from McGill University. She has multiple years of experience providing psychotherapy and support to patients in the departments of obstetrics, oncology as well as adult and child psychiatry at the JGH. Emily was awarded the McGill Alumni Award for Clinical Excellence in 2010. Emily has been teaching mindfulness and yoga workshops for over 15 years and has participated in professional training under the direction of Dr. Jon Kabat-Zinn, a leading figure in the development of mindfulness. She is a Trained Teacher with the Center of Mindful Self Compassion and has received direct training under the guidance of Dr. Kristen Neff and Dr. Chris Germer. Emily is the co-author of the book Thai Yoga Therapy (Inner Traditions, 2006) and is a yoga teacher and Ayurvedic counsellor. She has taught yoga and Ayurvedic workshops at several internationally known yoga centers, including Kripalu, the Lotus Palm School and the Sivananda Yoga Center. Emily has given mindfulness trainings at various institutions across Montreal, including the Child Psychiatry Department of the Jewish General Hospital, the Quebec Association of Preschool Professional Development, Mackay Rehabilitation Center, Ometz Social Services, McGill School of Social Work, Migraine Zero and several private high schools.